Way back in 1950, a little book was written and published about a man who just stopped doing his dishes. He simply came home one night, starving, and quickly fed himself and thought he’d do the washing the next day. But the next day, he came home twice as hungry, and that was the start of it all. Soon he ran out of dishes, so he began using any vessel in his home he could find, including eating from a candy dish and a flowerpot. 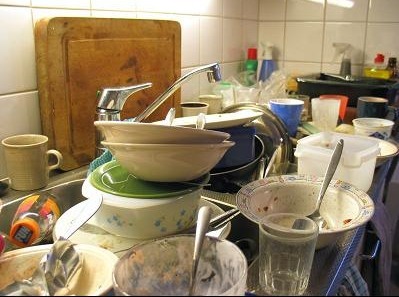 Dirty dishes piled high all over his house until finally he thought he should do something about it. She hit the breaking point. Mothers and fathers who are raising children who do not pick up after themselves across the world now have a bit of a hero, a mom who simply stopped doing everyone else’s dishes. And picking up their clothes. And everything else. For a series of days, she handwashed and put away any dishes that she herself used, and would only wash laundry if it was left near the washing machine, sorted. This brilliant mother cataloged her experience on a blog and even appeared on the national TV to share her story of legitimately doing what so many of us wish we had the guts to do: nothing. 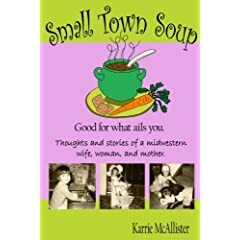 She writes about how her counters were filled with stinking bowls of rock-hard cereal and milk leftovers, and her couch was littered with dirty socks, empty drink bottles, and used tissues. My favorite part of the whole story is that her children did not unpack their lunch containers, and so she sent their lunches in doggie doo baggies to school, which is clever and suburb parenting skills in my book. After a few days of doing nothing except taking care of her own things and kicking back her feet, the children began to catch on, and soon enough there was a victory and big ol’ cleaning party. Whether or not the tween aged children have caught on is yet to be seen, but I can’t help but think that moms and dads everywhere are considering this little experiment of their very own. I know I am. The very fact that this mom had the audacity to put this strike into action makes me feel a little bit better about my own kids, that I’m not alone in the plight of dirty clothes on the floor, crusty dishes on the table, and paper airplanes everywhere else.